I have gotten myself into trouble. 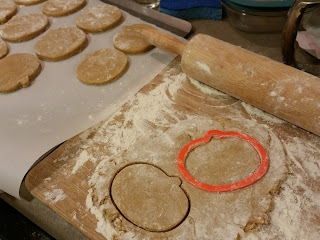 I am now infatuated with cutout cookies and all the endless possibilities there are with royal icing decorating. It's like you can make a coloring book out of your cookies. A year or so ago a friend asked me if I had ever dabbled in royal icing and my answer was "what's royal icing". You might not know what royal icing is but you'd definitely be able to recognize it. It's a hard white icing that's often colored and used on sugar cookies (and many other desserts). The royal icing is piped around the cookie as an outline and then it is loosened with some water and the inside is "flooded" with this looser icing. I made these pumpkin cutout cookies a few weeks ago and ever since then I've been browsing cookie blogs and Instagrams in awe. Can't wait to make some Christmas sugar cookies! Whisk the flour, baking powder, and spices together. Set aside. With an electric mixer, cream the butter and sugars together until light and creamy. Beat in the egg and pumpkin, scraping down the sides and bottom of the bowl as needed. 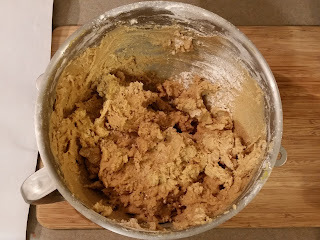 On low speed, add the flour mixture in three additions, mixing just until combined, scraping down the bottom of the bowl occasionally. Refrigerate the dough for 20–30 minutes before rolling. The pumpkin makes it a little sticky. On a floured surface and with a floured rolling pin, roll the dough to 1/4-inch thickness. Cut out the shapes, then freeze on the cookie sheet for 5–10 minutes before baking. Re-roll the scraps and continue cutting out cookies. Bake for 10–12 minutes, depending on the size of the cookies. Let rest on the cookie sheet for 2 minutes, then transfer to a wire rack to cool completely. Once the cookies are cooled, decorate with royal icing. Sift in the powdered sugar and beat on low to combine. (Do NOT skip the sifting!) Add in the corn syrup and extract if desired. Increase speed to med-high/high and beat for about 5 minutes, just until the icing is glossy and stiff peaks form. (You should be able to remove the beater from the mixer and hold up and jiggle without the peak falling.) Do not overbeat. This "stiff" icing is perfect for outlining and even for building gingerbread houses and monogramming. To fill in your cookies, add water to your icing a teaspoon at a time, stirring with a rubber spatula, until it is the consistency of syrup. This technique of filling a cookie with thinned icing is called "flooding." 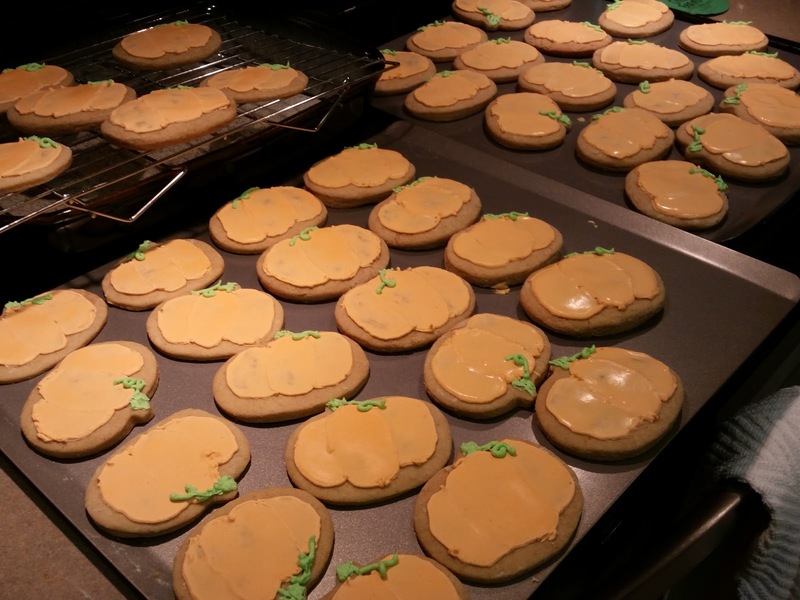 The cookies are particularly delightful with real pumpkin. They're soft and chewy too which is how Patrick likes his sugar cookies! Well, I did not know what royal icing was until this blog. Look wonderful!